supporting organizations manage and develop their talent. Watermarq supports organizations manage and develop their talent. Our core team specialize in talent strategy, leadership coaching and team performance. Our clients value our depth of experience and knowledge sharing programs. Critical to outstanding performance is ensuring you are able to harness and retain the talent in your organization. We support many organizational talent strategies by partnering to develop and build programs to improve retention and engagement of your top talent. Our focus is on helping develop a motivated, engaged, diverse and inclusive talent population that directly impacts productivity and competitiveness. How are you leveraging your company’s surveys to engage the talent in your organization? We provide comprehensive leadership coaching. Since 2001, our coaching methodology has supported global business leaders in over 40 countries develop and hone specific skills linked to business objectives e.g. Our Coaches have worked in global organizations and leverage both their academic knowledge and years of experience to provide an objective, comprehensive coaching experience. How can our coaches support your continued success? The value of high-performing teams has long been recognized, because no matter how brilliant your mind or strategy, if you’re playing a silo’d game, you’ll always lose out to a team. The leadership role becomes increasingly demanding as more work is conducted remotely, accomplished through matrix environments, and work crosses international borders. So the question is, how can you re-create these conditions in your top team? We’ve consulted across 50+ cultures & countries. 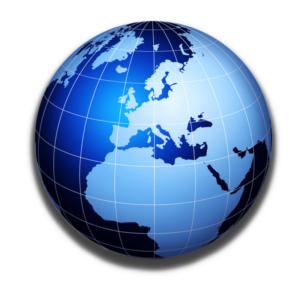 Our ability to mobilize globally is based on the geographic spread of our core team. Discover our breadth of expertise and presence across the Americas, Europe and Asia-Pacific regions. Ripple, our proprietary web and smartphone coaching apps, allow our clients security in sharing confidential information with their coach. 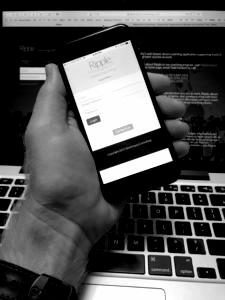 The link below will take you to the home of ‘Ripple’ at our secure website called LaunchKX.com. 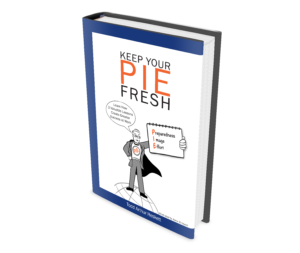 Todd Heskett, founder of Watermarq, authored Keep Your PIE Fresh to support individual’s success. Based on his work, the book helps prepare for success through 3 key principles: Preparedness, Image, and Effort. Find out more about the book by clicking the link below.